One needs to have a Commercial Driver’s License to drive a truck in Texas. To get a Texas CDL, one must first have the necessary qualifications as well as pay the corresponding fees to apply. CDL applicants must be at least 18 years old to drive in Texas. If you want to drive interstate, then you must be 21 years or older. It is also important that you do not have any criminal records with regards to certain crimes that may disqualify you from certain types of CDL endorsements. All applicants must also get a DOT medical certificate to prove that they are physically fit to drive. After meeting the basic requirements and supplying the required supporting documents, applicants can then submit their applications and schedule a date for the written exams. Applicants are encouraged to read the Texas CDL Manual before taking the test. Aside from the General Knowledge Test, additional test will also be given for each endorsement the applicants want to add to their CDL. Applicants who pass the knowledge test(s) will be given a temporary permit that will allow them to drive a commercial truck with the supervision of a licensed driver. If an applicant feels that he is ready to take the exam, he must then go to the DMV office and schedule the road test. 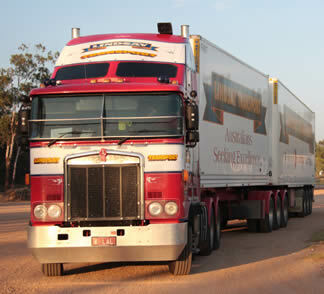 The road test will be divided into a pre-trip inspection, basic driving skills, and on-road driving. Applicants must pass all three parts to get the CDL. We are always looking for new CDL training schools to make this directory complete. If you know of any training facilities not listed here please let us know through our contact form. When you contact us, please include the full business name, address, and phone details. To get a Texas truck driving license, one must have the necessary qualifications as well as pay the necessary fees in order to drive a commercial truck legally in the United States. Recent changes have been applied to the process of acquiring a CDL due to the recent attacks which have been made in the country. Also, the government now requires some self-certification to be done and for physical and visual examinations to be passed before one can be given a truck driving license. First and foremost, one has to comply with the new age requirement which is 18 or 21 years old. One has to be at least 18 years old in order to drive intrastate and 21 years old and above for those who will be driving trucks interstate. It used to be that even those aged 16 can apply for a CDL. Another thing is the criminal background check if you will be applying for a Hazardous Materials endorsement. You should not have any criminal record with regards to certain crimes in order to be eligible for this type of endorsement. If you are at the proper age, then the next thing that you need to do is to read the Texas CDL Manual which you can get at any local driver licensing office. You can pick this up together with the application form so you can be ready to take both the written and the skills exam. It is important to note that you should only apply to take the written test after you have read the Manual as it contains all of the information in which you will be tested in. You will not be able to proceed to the next step if you fail the written exam. When you have read the Manual, the next step would be to apply for the written exam. To do this, you would need to submit the following: proof of residency in the state of Texas, proof of legal residency in the United States, at least 2 valid IDs (copy), current driver’s license, DOT medical certificate, test results for your vision test, filled out application form, and proof of registration of your truck if you have one. You will also have to pay an application fee and a learner’s permit fee if you pass the test. Once you acquire a learner’s permit, you will then need to learn how to drive the actual type of truck that you are applying for. You can do this as long as you have someone who has the necessary license to drive that particular type of truck with you. Learn as much as you can about actual truck driving while reading the CDL Manual. When you feel that you can pass the skills test, then you should visit a full service driver licensing office in order to schedule your skills test. You will need to pass these three tests: pre-trip inspection, basic driving skills, and road test in order to acquire your Texas truck driving license. 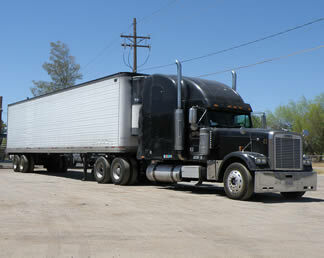 There are many truck driving schools in TX that can help you learn how to drive a tractor-trailer. Training can usually be completed in a few weeks and many facilities offer job placement once you have received your CDL license. To learn more about license requirements you should visit the state licensing website, linked below.